Customizing your decision trees as much as possible can unify the experience for your customers as an extension of your brand. For this reason, we made it easy to personalize the look and feel with custom CSS! 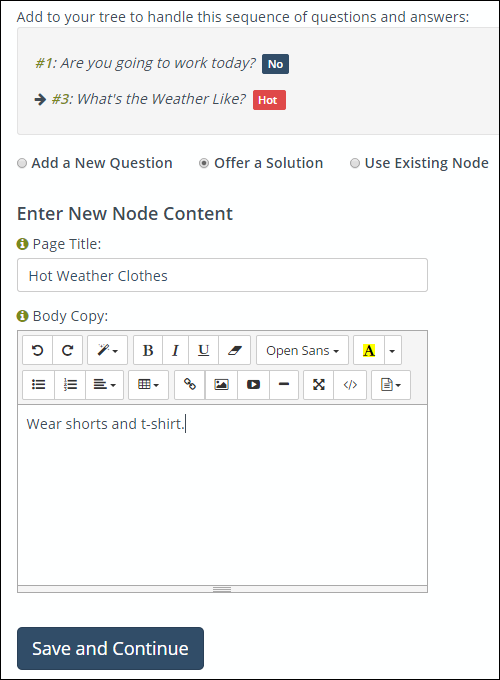 You can upload a custom CSS file, or download our simple CSS file for Zingtree styling to modify to your liking, to customize colors, node styles, icons and more. 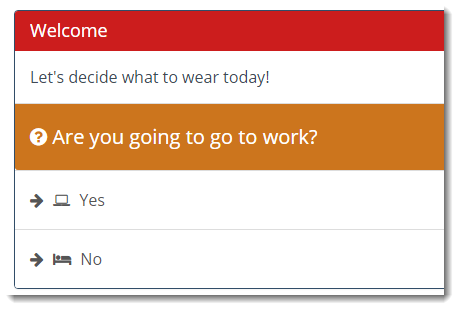 Data entry fields allow you to collect information directly from your customers as they are going through your decision tree, in the form of text, list boxes, check boxes, or radio buttons. Then, it allows you to view this data or export it into any system you may need (such as CRMs). Form data can also be included dynamically, meaning that, for example, you could collect a user’s name in one node, and then have that name appear later in the decision tree. 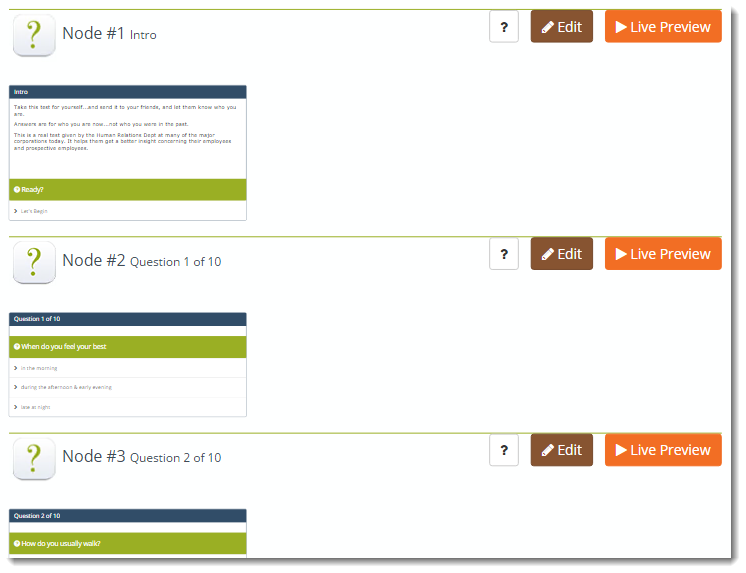 Try the Form Fields and Data Entry Demo tree from the gallery to view a live example. We know it’s important to make the process of building your decision trees as simple as it is for your users to navigate through them. The Designer tool is just one of the ways we enable you to create – it allows you to draw out your decision tree in a totally visual way, so you can easily view each node along with their connections. To ensure that your decision trees are structured to your liking, we offer a few different ways to see a preview of your entire tree. Thumbnail Overview is an easy way to take a quick glance at all of your nodes, providing helpful thumbnail images of each node in its current state for reference as you made edits. The Wizard tool is another way to build decision trees, this time in a step-by-step process. 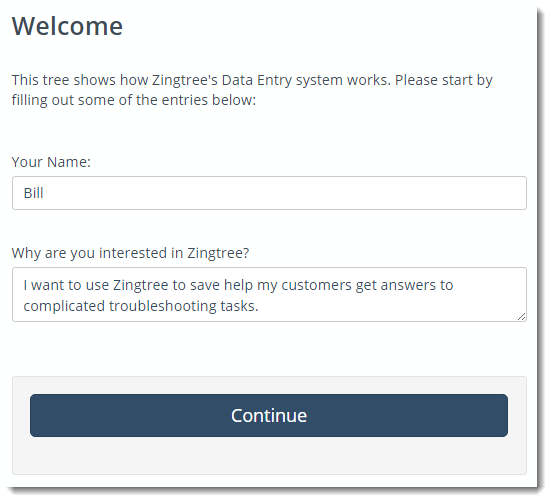 With the Wizard, you’ll fill out simple forms to generate your decision tree; you provide the questions and answers that your customers will see in the tree, and the system will prompt you to for more information as you continue along through each path. 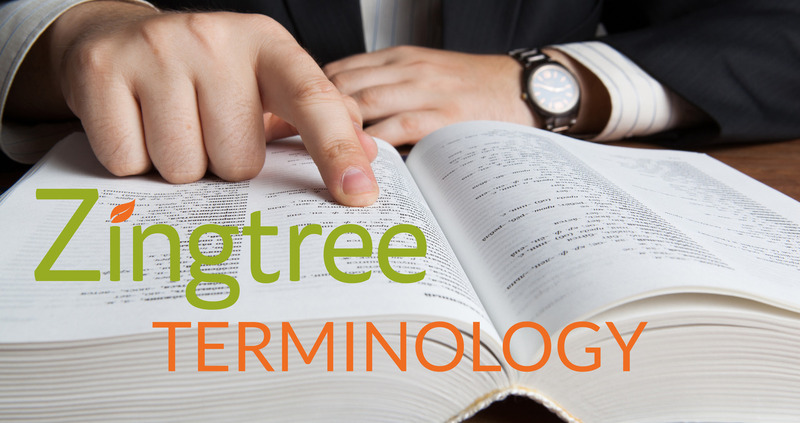 Stay tuned for Part 4 of our Zingtree Terminology series coming soon, and check out previous posts right here. If you have any questions in the meantime, please contact the team!